Calorimetry for a future International Linear electron-positron Collider (ILC) is based on the so-called particle flow method which provides superior jet energy resolution. This method requires a very high calorimeter granularity. The CALICE collaboration is aimed at developing and testing of high-granular calorimeters for the future linear colliders. 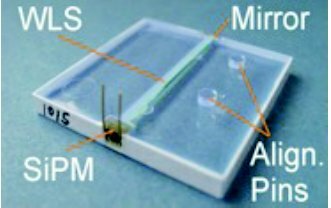 High granularity can be achieved using tiny 3×3 cm2 scintillator tiles with SiPM readout. 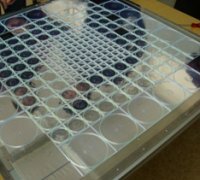 The feasibility of such an approach has been demonstrated by the CALICE collaboration which constructed an analog hadron calorimeter prototype with about eight thousand channels. This was the first large-scale device with SiPMs in the world. The physicists and engineers from MEPhI and ITEP played a key role in this study. They designed, produced, and tested all sensitive elements of the calorimeter. Since 2006, the high-granular analog hadron calorimeter with SiPM readout was tested with steel and tungsten absorbers during extensive test beam campaigns at DESY, CERN and FNAL. More than 500 million events were collected with hadron, electron and muon beams. About 8 years of data taking, including several trips with reassembling of the setup, demonstrated the robustness of the technology based on SiPM application. The unprecedented granularity of the calorimeter allows the best-ever 3D view of a hadronic shower structure and gives a possibility to improve the calorimeter energy resolution and validate theoretical models implemented in simulations. 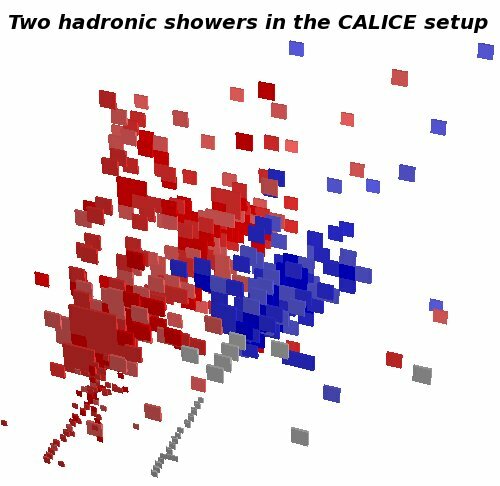 A very important step of this experimental study was the test of particle flow algorithm on real hadronic showers extracted from CALICE test beam data. This test confirmed the high level of realism in GEANT4 simulations and the reliability of their predictions of the full-size detector performance. The data analysis is in progress and is aimed at hadronic shower parametrization and developing of the algorithms for shower disentangling. The calorimeter of the future ILC will consist of several millions tiles with SiPM readout. Therefore optimization of the tile-SiPM system is required. An engineering prototype of the analog hadron calorimeter is being constructed by the CALICE collaboration. The MEPhI&ITEP group will develop the tile-SiPM systems for this prototype. Two approaches are considered — with and without a wavelength shifting (WLS) fiber. Different SiPM types are required for each of these approaches, but in both cases Russian SiPMs will be used. The perspective ILC market size in case of successful prototype development could reach 6 million detector elements, which would then be ordered by the international Collaboration for construction in Russia. The decision regarding ILC construction is expected soon, owing to the recent discovery of the Higgs boson at the LHC. The prototype of a muon system for the ILC detector will be also developed and tested. It will be based on scintillator strips with WLS fibers and SiPM readout.